“LONG.LIVE.A$AP,” 22-year-old rapper A$AP Rocky’s new album, explores the artist’s difficult childhood in Harlem. 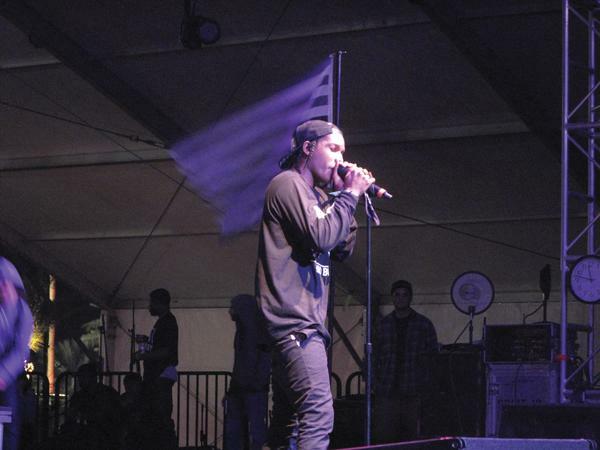 Last year A$AP Rocky delayed his debut studio album several times. Weeks aggregated into months, and Rocky eventually settled for a 2013 release. Although “LONG.LIVE.A$AP” failed to materialize numerous times, its Jan. 15 arrival sparked immediate approval. The 22-year-old Harlem rapper delivered a collection of powerful tracks that vary in content and sonic form. Heavy-hitting rap artists on the album include Yelawolf, Schoolboy Q, Kendrick Lamar, Joey Badass, 2 Chainz and Drake. Rocky also surprises listeners with a Skrillex appearance on “Wild for the Night.” The electronic music artist adds ear-piercing laser noises, buzzing reverb and screaming organs behind Rocky’s lyrical jump-roping. Similarly, synthetic beats from Clams Casino blast on multiple songs. However, Rocky adapts to these musical changes — sounds absent on his mixtape “LIVE.LOVE.A$AP.” The combination of rap and faded electronic bass flows never seems forced. Aside from music, Rocky’s malleable form changes from song to song. He slows his rapping and transforms “Phoenix” into a variation of spoken-word poetry, chanting his story as a flute oscillates behind him. “Lord Flacko” raps the “ghetto gospel,” withholding no emotion. Much of the album chronicles Rocky’s difficult past, including his childhood in Harlem. “I thought I’d probably die in prison,” he nonchalantly states in the opening song “Long Live A$AP.” He goes from “rugged boots to designer suits,” which underscores the theme of this album. Rocky’s life, an anomaly of improbable success, progresses due to self-awareness and resolve. Rocky’s final song, “I Come Apart,” typifies the language of his album. Throughout “LONG.LIVE.A$AP,” Rocky deftly traverses the topical landscape. He concludes with a ballad about a lost woman. But like the majority of his songs, he looks forward: “If you find a way to fight the pain which we endure, if you fly away then rest assured.” Listeners feel the residual sadness in these songs, but they also notice a desire to ignore negativity. “LONG.LIVE.A$AP,” through its sonic variation, lyrical tenacity and sheer honesty, proves “Lord Flacko” can transform his emotion into a masterpiece.